One of my favorite things about the internet is that you can see something in your random trolling that sparks an idea in your brain and it turns into something fantastic. Last week I stayed home sick (I really wish my co-workers would stop sharing) and in my internet wanderings I stumbled across a recipe on Goop for Spinach and Black Bean Burritos and it sounded delicious. Then I remembered that our good friend Smitten Kitchen has a recipe in her fabulous cookbook for Black Bean Ragout, which I made a few months back, and decided to modify. 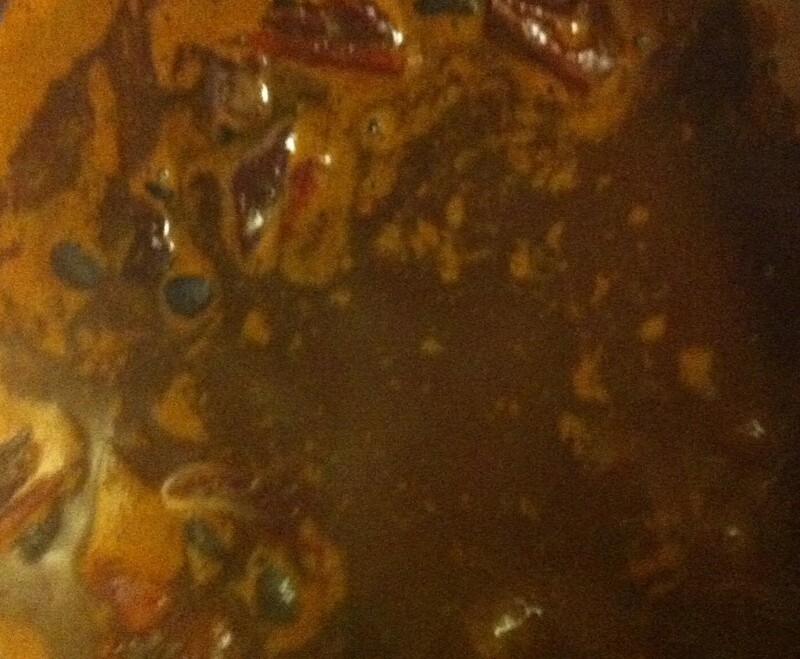 The beauty of the black bean recipe is that you put it all in crock pot and let it merrily cook away overnight. 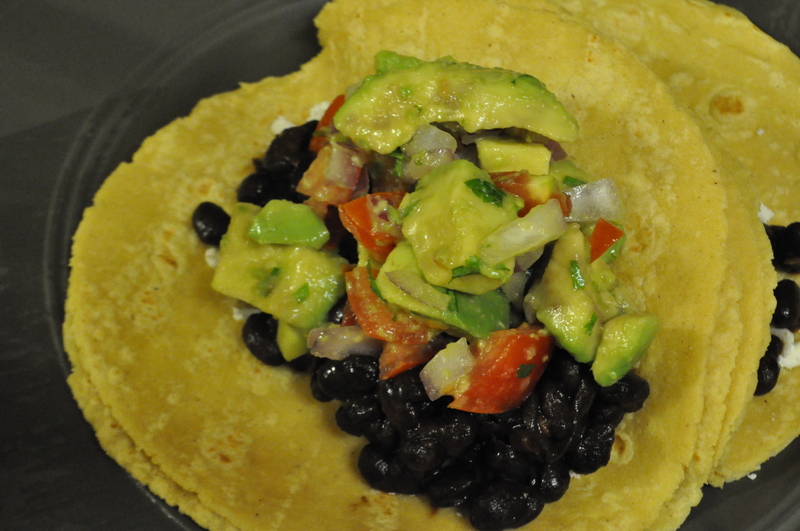 The next night I combined baby spinach, with the black beans, shredded cojita cheese, and pico de guaco (my newest creation), in a soft corn tortilla and a legendary dinner was made. To make Pico de Guaco do the following; mince four medium size (the size of your fist) tomatoes, removing the seeds. Mince 1/4 red onion and 4 avocados. 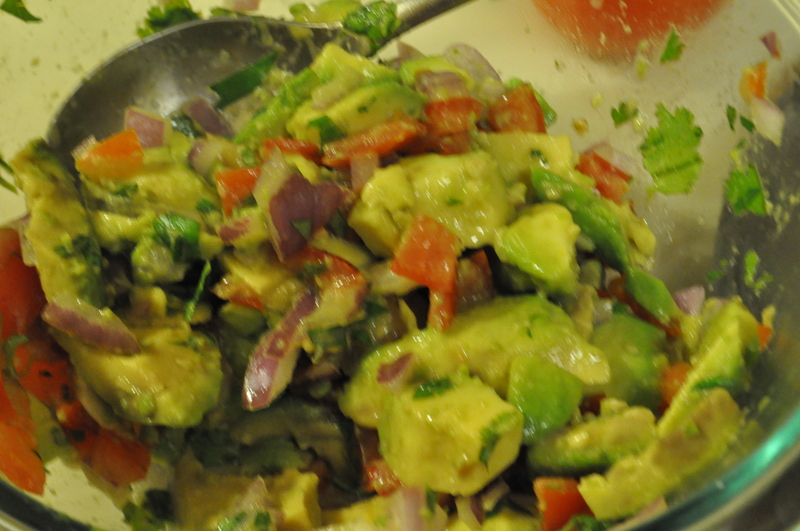 Combine tomatoes, avocados, and red onion with the juice of 3 limes, 1 tablespoon of garlic powder, and a few sprinkles of salt. Mix together, let sit for about 30 minutes, and enjoy!